You may have experienced some currents so far in your diving career, and they can be challenging and fun at the same time. Diving in currents is a must if you want to experience the “Big Stuff” since most large Open Ocean pelagics like to swim in big currents – so here is our top guide to mastering diving in currents. The Similan islands are quite exposed to current, specially the following dives sites Elephant Head Rock, Koh Tachai Pinnacle, Richelieu Rock. These pinnacles are exposed depending on the hour of the day, tides and moon cycle to moderate to strong current. Generally, diving in big currents is not for the inexperienced diver, who can get whisked away quite easily, and less than perfect buoyancy can make the dive difficult – if not outright dangerous. 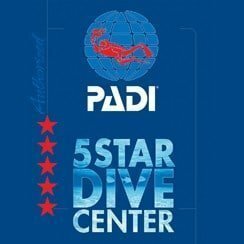 You should build up you experience gradually, starting by diving in mild currents and as your experience and abilities increase, you can start diving in stronger and stronger currents. Do not dive into the deep end with strong currents is the name of the game. 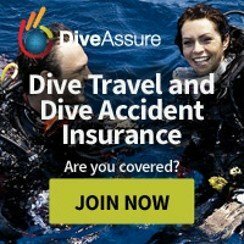 Most dive operators in areas with strong currents will insist that you have a minimum number of dives before visiting certain dive sites. 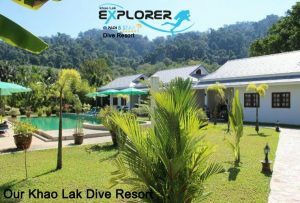 It’s always a good idea to take your Advanced Open Water Course in Khao Lak or somewhere else. Okay, so you may think that diving in currents is no fun at all. Well you would be wrong! Currents are exhilarating to dive in. The sensation of hovering and being swept along is like being an aquatic superhero flying across the reef. When in a current, don’t fight it – you will never beat Mother Nature, so it is better to relax, go with the flow and work with nature, not against it. Just focus on your depth and enjoy the ride. 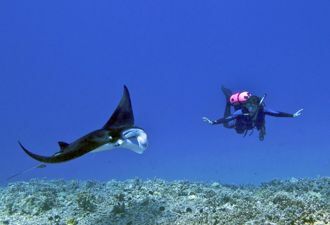 Most of dive on-board our Similan scuba liveaboards are drift dives. Occasionally, you need to stop and maintain your position whilst diving in strong currents. Don’t be tempted to turn around and head into the current in order to maintain your position. While this might work in a very mild current, most of the time you will be exhausted in a few minutes and if the currents are strong, you will just be swept backwards. What you need to do is play an old fashioned game of hide and seek, and find a spot to hide from the current. 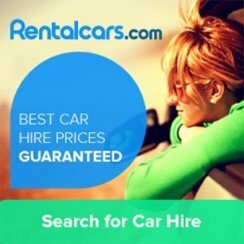 What you need to look for is a reasonably sized rock or coral outcropping, since as the current hits the immovable object it splits around it, creating a tear drop shaped area of no current behind the object. You should be able to snuggle in behind the rock or coral head and find shelter from the current until your group catches up or you finish you safety stop. Reef hooks are a popular option in some places around the world; these are a metal hook with a small length of rope attached that you can attach to the rock and then hook yourself in against the current. They are popular in areas with small sites with strong currents, where you need to maintain your position and just let the big stuff come by. 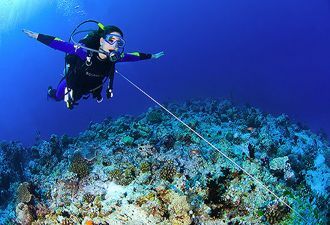 If you do need to use a reef hook, ensure that you don’t hook it into any coral; choose a strong rocky attachment point. Not only does this protect the coral from damage, but also what may look like a solid piece of coral can actually be quite fragile, and can snap off, letting you fly off in the current. 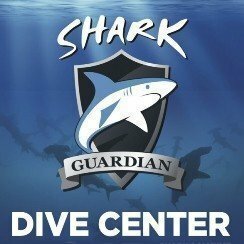 The most important thing you will ever use when diving in currents is a SMB or DSMB since most diving in strong currents tends to be drift diving. 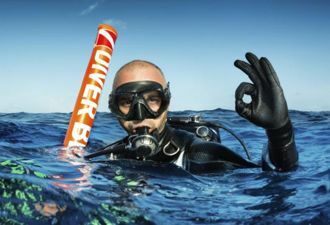 The surface marker buoy or delayed surface marker buoy is a device to signal your location to the surface from underwater, since the most enjoyable dive in the world can rapidly turn into a nightmare when you surface and there is no dive boat. These are very important because of the distance you can cover underwater when diving in currents. On dives with a moderate current, it is easy to cover one or two kilometers underwater during a normal one hour dive, and without the bright orange or yellow marker on the surface, it is very hard for the boat to see you when you surface. In very strong currents, distances of 6 or 8 kilometers can be covered in an hour or so. Learning how to use an SMB is one skill that every good diver should have. Even if you don’t get the chance to use an SMB often, then practice regularly. SMB use and deployment should be absolute second nature. 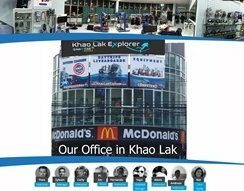 Reef hooks or SMB can be purchase at our dive gear store in Khao Lak. Currents can be uncomfortable; however, don’t be intimidated by asking most experienced divers what they think about a drift dive in a strong current. For most, they will tell you that it is a great experience, that being in the water and experiencing the power of nature in a controlled safe way is truly exhilarating, and that as a bonus you tend to see some pretty cool stuff. So build up slowly, practice, and enjoy.